India-US ties have deepened but remain short of fulfilling their potential. Trump regime could contribute to India’s rise as a regional power. The India-US conversation about burden-sharing in the Indo-Pacific will necessarily be a prolonged one. In calling for an ambitious 100-year partnership with India last week, US Secretary of State, Rex Tillerson, has drawn attention to an enduring paradox that marks the relationship between India and America. One dimension of the paradox is about the gap between expert expectations and actual outcomes. Pundits in both countries have been consistently sceptical about the prospects of India-US cooperation. No other major Indian relationship has been subjected to such intense bureaucratic suspicion and negative public scrutiny. Yet, the partnership has advanced faster than any other that India launched in the last quarter of a century. The other is about the fact that the relationship remains way below potential. Neither side has taken full advantage of all the possibilities that have emerged. Consider, for example, the domains of commerce and defence. Gone are the days when trade between the two countries was “flat as a chapati”. Annual trade between the two countries has now advanced to $115 billion, with the surplus in India’s favour. Yet multiple obstacles remain in boosting two-way trade to the proclaimed goal of $500 billion. In defence, the scale and scope of the exchanges have expanded. America, for example, has become a major arms supplier for India. The volume of Indian defence imports has grown from near zero at the turn of the century to about $15 billion now. Yet there are residual issues in Washington about supplying advanced defence technologies to India and Delhi remains reluctant to inject greater political content into the security partnership. 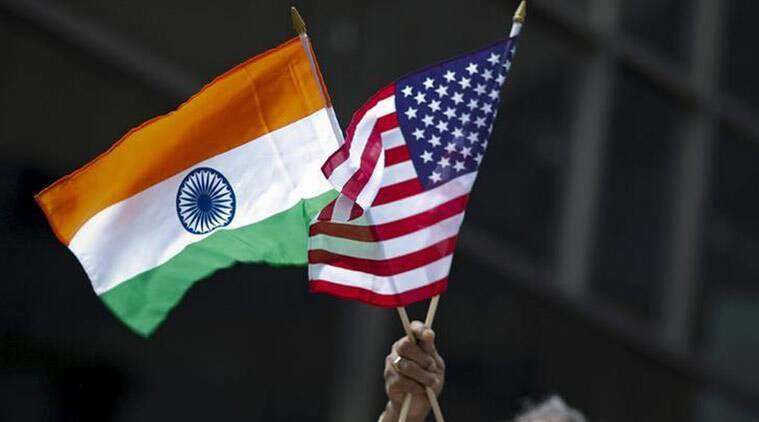 One explanation for the enduring gap between public scepticism and the positive trajectory of the India-US partnership lies in the under-estimation of the bipartisan political commitment in both countries to build a strong strategic partnership. Consider the role of the last three US presidents. Bill Clinton overruled his advisers in deciding to travel to India in 2000 — the first visit by a US president to India in 22 years. The non-proliferation community in Washington said the president should not head to India without significant nuclear concessions from Delhi. Clinton, however, understood that the world’s largest democracy cannot forever be put in the nuclear dock. The Clinton visit helped launch a long overdue effort to remove much of the accumulated poison in the bilateral relations during the Cold War. President George W. Bush went two steps further. He invested huge political capital to reconcile America with the reality of India’s nuclear weapons programme and lifted the decades-old domestic and international restrictions on atomic energy cooperation with India. Bush also got the Washington establishment to end the perennial temptation to mediate between India and Pakistan on Jammu and Kashmir. In what was called the “de-hyphenation” of ties with Delhi and Rawalpindi, Bush put the relations with the two countries on separate tracks. President Barack Obama resisted the temptations to connect the problems in Kashmir and Afghanistan, completed the negotiations on the nuclear deal, and elevated India to a central position in America’s strategy towards Asia and the Indo-Pacific. The political enthusiasm for India in Washington was matched by the desire of successive recent governments in Delhi to transform the partnership with America. Although the initiative goes back to the 1980s, when Indira Gandhi and Rajiv Gandhi sought to end the stalemate between the two nations, it was the end of the Cold War that nudged India towards America. P.V. Narasimha Rao said the “sky is the limit” for the India-US partnership. Vajpayee declared India and the US as “natural allies”. Manmohan Singh presided over the negotiation of the historic civil nuclear deal and the 10-year framework for defence agreement. But the Congress party panicked at the thought of a strong engagement with the US and slowed the pace down. Prime Minister Narendra Modi, however, shed many of the “historic hesitations” that dogged India during the decades after the Cold War. He has put the relationship on a fast track and raised hopes for realising the full potential of the bilateral relations. Meanwhile many had expected trade and immigration issues might derail ties between India and the US. But both Trump and Tillerson have signalled renewed strategic enthusiasm for India. The greatest potential contribution of the Trump Administration to the partnership could lie in bringing America’s regional posture in alignment with India’s interests. Historically, the biggest drag on India-US relations has been the seemingly unbridgeable differences on Pakistan and China. More broadly, Delhi and Washington could rarely come up with a common assessment of the political dynamic in Asia and the Indo-Pacific. In the last couple of decades, Delhi and Washington made progress by setting aside their differences on Pakistan and China. The Trump Administration is promising to change that. In demanding that Pakistan suspend cross-border terrorism and asking that India play a larger role in the region — from stabilising Afghanistan to balancing China — Trump and Tillerson have begun to clear the path for strategic regional coordination between India and the United States. The India-US conversation about burden-sharing in the Indo-Pacific will necessarily be a prolonged one. Delhi and Washington will need to iron out many wrinkles and progress is bound to be slow and uneven. One thing, though, is quite clear. In the past, US power tended to limit India’s room for regional manoeuvre. Now it could contribute to India’s leadership in the Indo-Pacific.